Michael A. Stoll is Professor of Public Policy in the Luskin School of Public Affairs at the University of California, Los Angeles (UCLA). He serves as a Fellow at the American Institutes for Research, the Brookings Institution, the Institute for Research on Poverty at University of Wisconsin, Madison, and the National Poverty Center at the University of Michigan, Ann Arbor, and served as a past Visiting Scholar at the Russell Sage Foundation. Dr. Stoll’s published work explores questions of poverty, labor markets, migration, and crime. 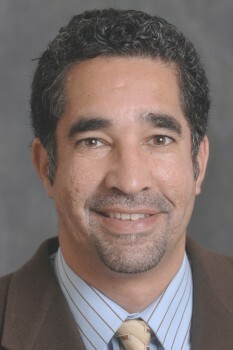 His past work includes an examination of the labor market difficulties of less-skilled workers, in particular the role that racial residential segregation, job location patterns, job skill demands, employer discrimination, job competition, transportation, job information and criminal records play in limiting employment opportunities. His recent work examines the labor market consequences of mass incarceration and the benefits and costs of the prison boom. A recently completed book, Why Are so Many Americans in Prison, explores the causes of the American prison boom and what to do about it to insure both low crime and incarceration rates. Much of his work has been featured in a variety of media outlets including NPR, PBS, the New York Times, Los Angeles Times, The Economist, Chicago Tribune, San Francisco Chronicle, and Washington Post, ABC, NBC, CBS, Univision, among other outlets. He also regularly advises the U.S. Departments of Health and Human Services and Labor, as well as for state and local governments in various capacities. Prof. Stoll received his Ph.D. from the Massachusetts Institute of Technology (MIT) and a B.S. from the University of California, Berkeley. Why are So Many Americans in Prison? jointly authored with Steven Raphael, New York, NY: Russell Sage Foundation, 2013.